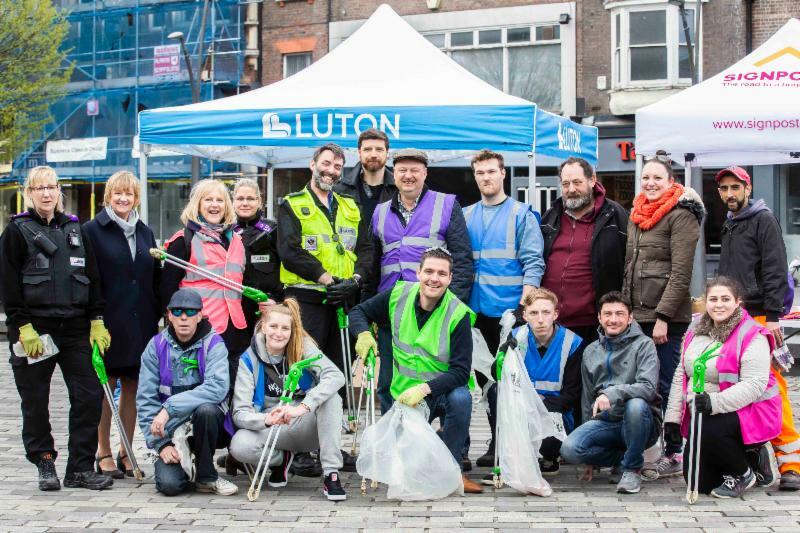 Thank you to everyone who joined us on Friday for our Luton town centre BID Tidy Day. More than 50 people took part, collecting 87 sacks of rubbish and scrubbing bins, benches, bollards as well as planting BID funded shrubs across the town centre. Eleven students from Stopsley School joined us for the day, along with staff from Nationwide, Starbucks, The Mall, Clearhead and Luton Borough Council. Our Luton BID Glutton Machine and operator took part in the day and we were also joined by staff from the Luton Borough Council Parks and Cleansing teams. Many thanks also to Blue Arrow who served refreshments throughout the day and to Signposts who helped us recruit volunteers. We are delighted to say that a film crew from BBC Look East joined us for a few hours, with our Tidy Day broadcast to the region on Friday evening. We have some wonderful photos which you can view on our Facebook album HERE. If you took part in the day and want any of the photos just let us know. 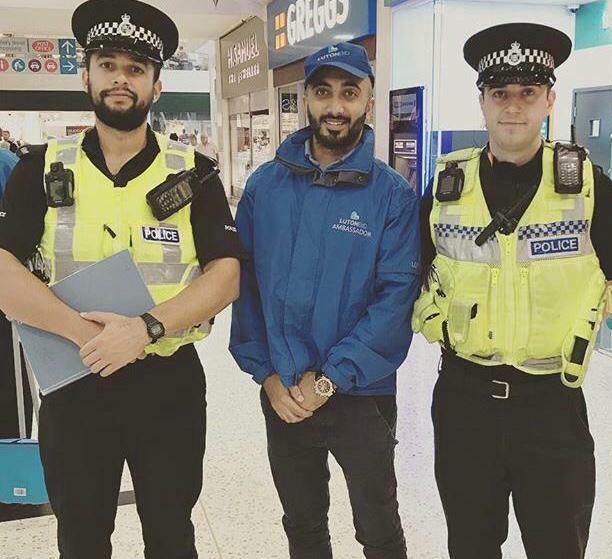 A reminder that our Safer Neighbourhood Days with Bedfordshire Police are this week - on Wednesday, 10th and Friday, 12th April. Would you like a visit? If so please email us at info@lutonbid.org or ask one of our BID Ambassadors. The BIG ROAR Dinosaur Trail, in The Mall, until 20th April. If you love dinosaurs then you are in for a treat. Find out more HERE. There was an old lady who swallowed a fly, Luton Library Theatre, 11th-13th April. Watch as The People’s Theatre Company brings one of the world’s best loved nursery rhymes to life just in time to celebrate the 45th anniversary of Pam Adams’ best selling book. Find out more HERE. Take a ride this Easter, on a host of fairground rides, in St George's Square until 19th April.